@Clifford_Bohm I picked up the Hobart today. Can you look into pricing / options on cylinders and make arrangements. 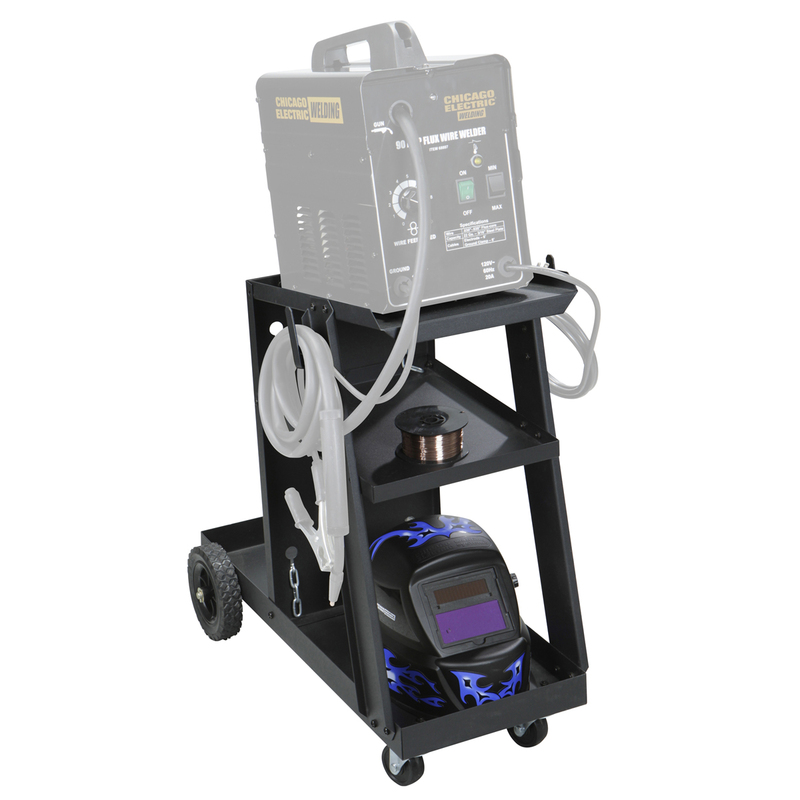 We need to build a cart to hold the welder and securely support the tank. 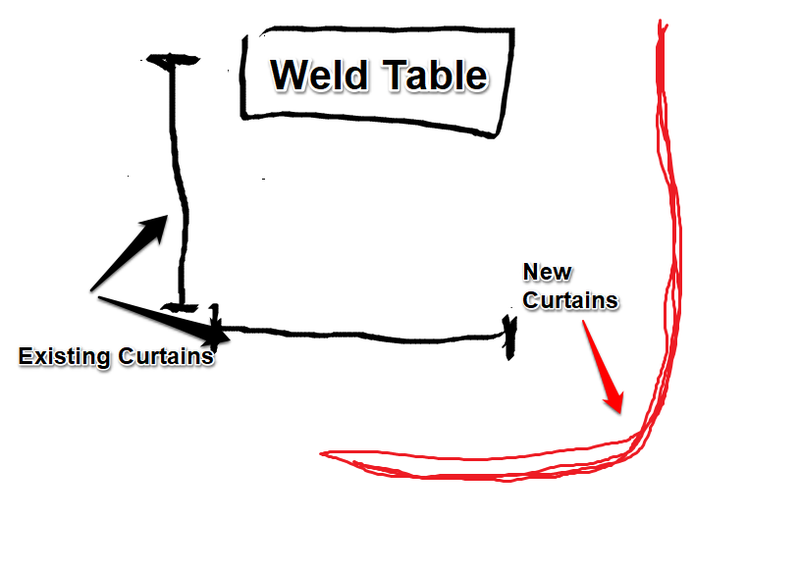 Two more welding curtains need to hang them up to complete the visual shielding. Fire blanket needs to be hung. Safety SOPs need to be created in Dozuki. SOPs for the machines need to be created in Dozuki. indicates items that are blockers to the area being available for use. 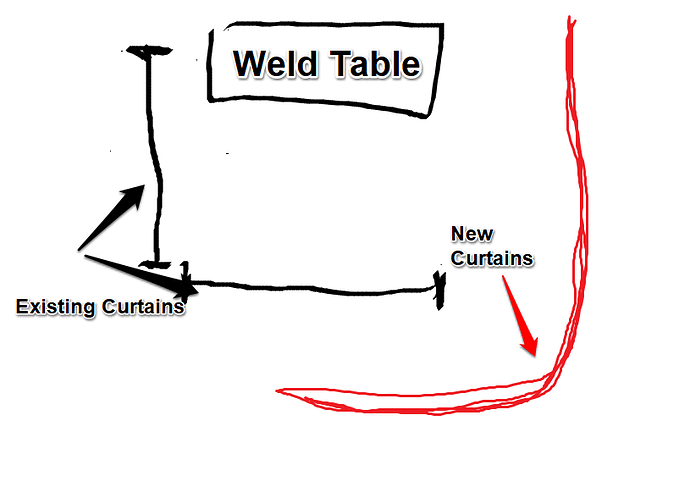 Welding curtains and fire blanket have arrived and ready for someone to tackle them. Cylinder delivery is scheduled for Tuesday. I went to pick up the cart at TSC Today, but opted against it after looking at it b/c I wasn’t sure if it held a big enough cylinder for what we’re getting. So, builidng a cart should probably be on the checklist. I’ve updated it with what still needs to be done. I also bent up some conduit to support the new curtains, now needs to be hung and curtain attached. Thanks @bjadms8 for doing the leg work on cylinder pricing options. @bjadms8 are you able to be around next Tuesday to receive the delivery ? I have a meeting on campus that day so I won’t be able to be around the space like usual. I’m not sure what time they’ll be by. I suppose one could call and ask on Tuesday. Or, if we want to build a cart later, maybe just buy this? The laser cutter and CNC machine SOPs are a good starting point for the usual format we’re trying to follow. Most important is the information though. We can tweak the format more easily than writing the content. 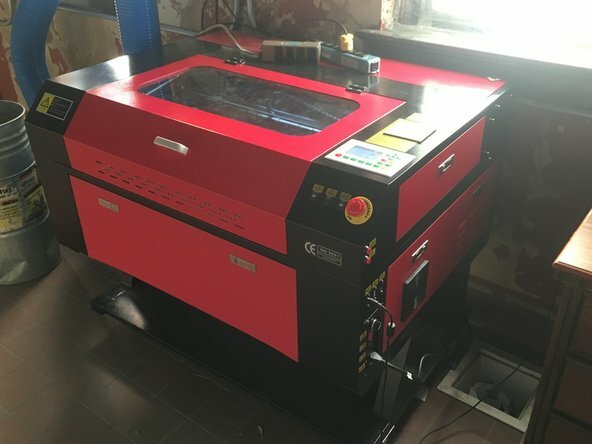 Our KH-750 laser cutter is a 70Watt (approx) machine, capable of cutting and etching a number of organic materials. 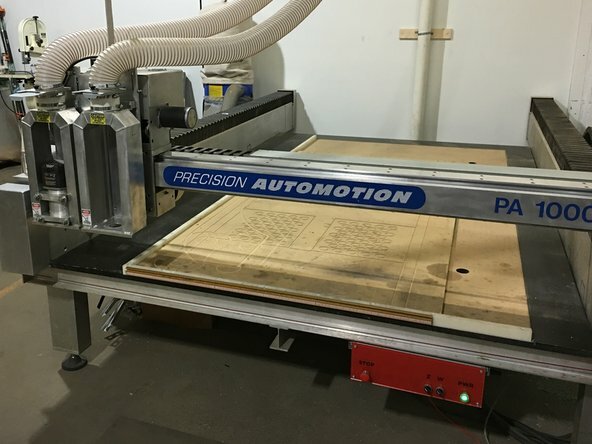 Our PA-1000 CNC router is an industrial machine capable of cutting many materials. Dokzuki’s own Tech Writing Handbook is a good primer into what goes into writing SOPs as well. Hobart 10 # wire spool maybe only minor issue opened box removed plastic packing edge of spool has taken some damage. I believe it could still work and feed wire. Gas delivered regulator installed and chained bottle to wall. Checked for leaks all appears to be good. Emailed Cliff and Brian with pictures.